Happy Harry Potter day 1 round up is here. It’s been so fun to check the #happyharrypotter hashtag on Instagram and see you guys playing along with the Harry Potter photo challenge too! I love it. Kicking us off with posts is Polly of Pieces by Polly. 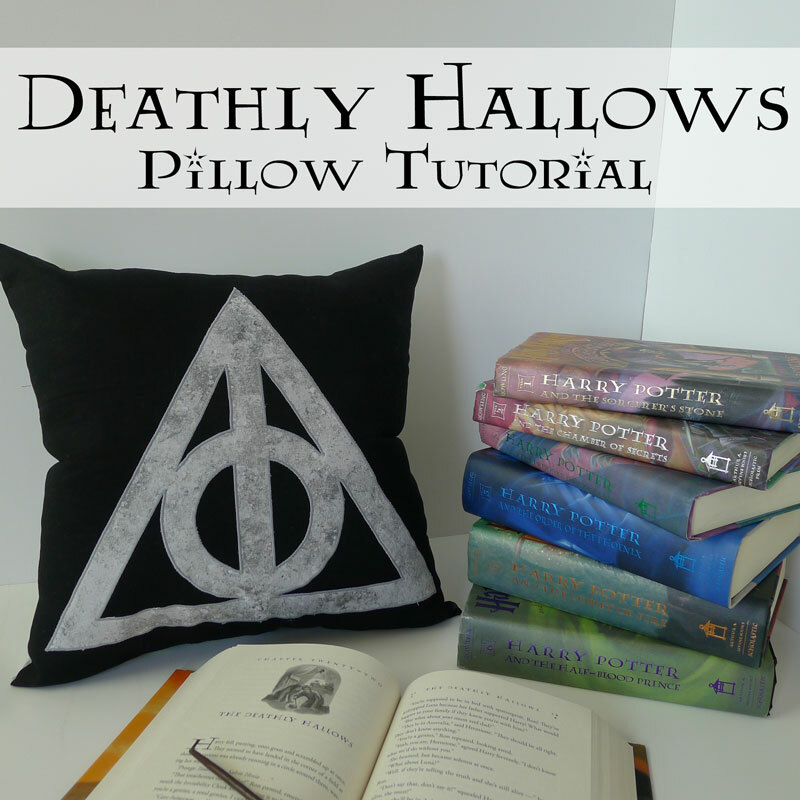 Today she’s hanging out over at Fairfield world sharing an absolutely amazing Deathly Hallows Pillow Tutorial eep so awesome. I am just in love. Isn’t it great! And that Polly couldn’t contain her Potter crafting self because not only did she share the Deathly Hallows pillow tutorial but she also shared an awesome Always Patronus Pillow tutorial on her own site. See that’s why I love her. 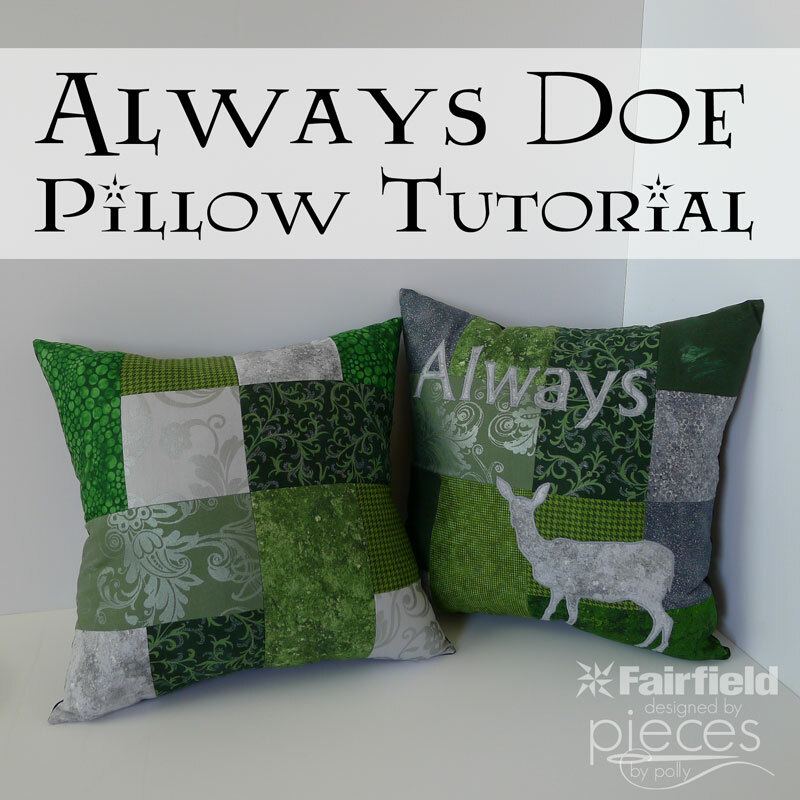 Go learn how to make your own amazing Always Doe Pillow. And if you’re a quilter you’ll want to check out her Harry Potter quilt along that she has going on. 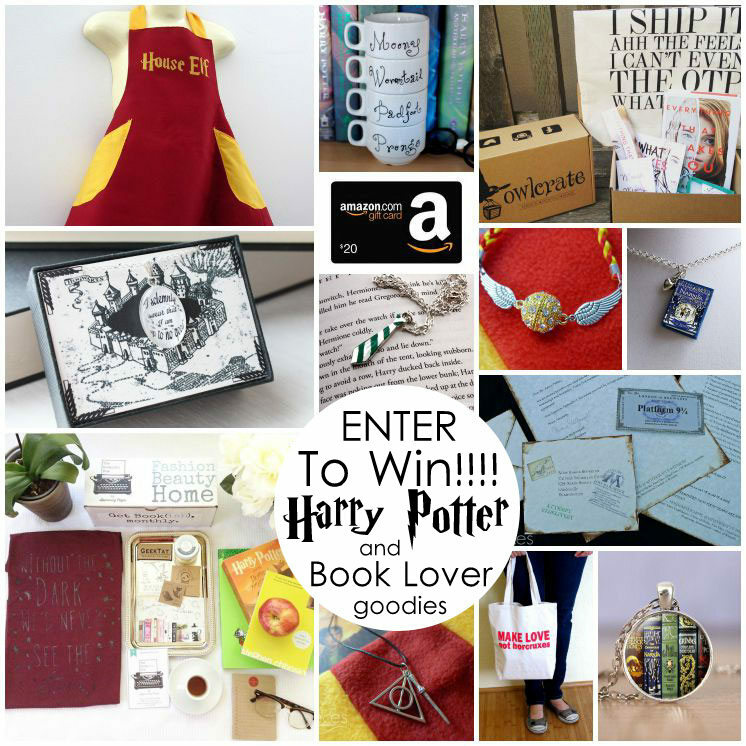 If you missed my post from earlier today you’ll want to go back and read about all the awesome sponsors but for now you can easily enter and see the great prizes right here. I adore Sirius Black! And Remus Lupin. And Fred and George, of course. Always. I love Tonks. She’s clumsy, just like me, but strong & smart. I loathe Umbridge. Seriously, hate her more than the Dark Lord. At least he was true to his intentions. She’s backhanded & evil. Oh my listed of beloved Harry Potter characters could be way too long for a blog post. But I grew up with these characters and as I read and re-read Harry Potter, they became real to me… like they were my friends! We are pretty keen on Hagrid….such a big teddy bear! I have always had a soft spot for Snape. Especially after we saw into his life with Lily. And I can’t even tell you the amount of tears I cried when Fred Weasely was murdered. Felt like my own twin had died!!! I love Dobby. I mean, come on, who doesnt? So sad his part was left out of the fourth movie. Hermione is my favorite simply because she is always true to herself even though she is a little nerdy and not from a wizarding family! Watching her grow up throughout the books and blossom into the brave, charismatic character she became at the end was an amazing thing to witness! I love Professor McGonagall. So much that I named my cat Minerva! One of my favorite characters is Dobby. He is so loyal to Harry until the end. I also like Hermione, she is smart and brave. I love the pillows that Polly shared on here. I’ve been following her because of her Harry Potter quilts. I think my favorite characters are probably Hermione and Luna! My favourite character is Mrs Weasley. She’s fierce and has a heart of gold. 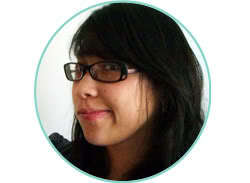 She reminds me of my own mother, and that makes me (tearfully) happy. I love the house system, and the fun of sorting friends and characters into it! Thanks for a great giveaway! I have a long list of favorite characters, but Lupin and McGonagall are definitely somewhere around the top two. Ron and Sirus Black are my favorites!! This is the best giveaway ive ever seen! Thank you for the chance to win amazing stuff!! I absolutely love Tonks and Lupin. Their relationship is one that I have always adored, and I was the most heartbroken over at the end of the series when they both passed, leaving Teddy all alone. It’s hard to choose a favorite character from Harry Potter because all the characters have something special about them, but my favorite thing about Harry Potter is the friendship and loyalty with friends. They’re there for each other through it all as well as stand brave in every situation. My favorite characters are Hermione and Tonks. Thank you so much for doing this giveaway. I love too many of the harry potter characters to pick just one but my favourites include: Hagrid because he is kind and caring, Hermione because i can relate to her so well, Fred & George because they are hilarious and Mr Weasley for his love of the muggle world! My least favourite characters obviously include Dolores Umbridge beacuse she is an evil creature, Voldemort for obvious reasons and Aunt Petunia for being so mean and bossing Harry around! 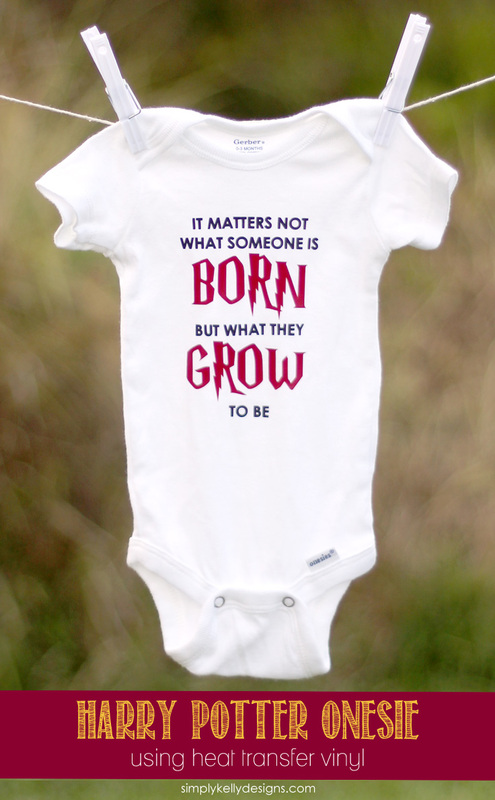 I can already tell you are clearly awesome! Probably Hagrid. I forgot to add that in my post. My fav characters are the marauders minus Pettigrew and Hermione!!!!! I love Hermione. She taught girls that we can be smart, complete book nerds, but also fight right along side the guys! Hermione will forever be my favorite character from the HP books and one of my top three favorite characters ever! She’s one of the best written, most complex and interesting female characters ever created. My favorite thing about Harry Potter is how it’s a whole new world. Everything is so detailed that sometimes I wonder if the whole series is really a biography under the pretense of a YA series! I love Luna – always my favorite. Whenever I visit my mom and there’s a lull in the conversation, one of us will turn to the other and say “I hope there’s pudding”.